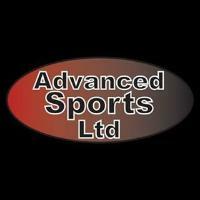 Advanced Sports Ltd is a Sports Coaching company based in Chinnor, Oxfordshire. We provide Sports Coaching throughout Oxfordshire, Buckinghamshire, Hertfordshire and Berkshire, specialising in PPA and SSI Cover within Schools, After School Clubs, Holiday Courses, Advanced Football Development, Breakfast Clubs, and Birthday Parties. Our Advanced Sports Ltd holiday courses run during the school holiday are always very popular.